Hate your job but a career change idea holds you back? Take second career tests, if you really want a new career. Hi, my name is Paul. I’d like to share my struggles and successes in making a career change so you’ll get hands-on tips for securing a new, more meaningful work. Getting a second career at 40 or 50 is doable. I know it’s true because I did it. My situation is not a unique one. Many career changers have faced situations you’re experiencing right now. And some have managed to get a perfect career. That won’t be easy. But for long-term joy and job satisfaction, it’s well worth the effort. What are Second Career Tests? Career choice tests are a common tool for students and fresh graduates to find ideal work options. Fortunately, the use of assessments is not limited to those seeking their first careers. Current job holders who are looking for a new direction will also benefit from second career tests. Entering a new career is a serious business. In fact, changing course isn’t for the faint of heart. The road to a new work is tough and full of obstacles. Only those who search the true meaning of work in their life find it worth pursuing. For that reason, you don’t want to plunge into a new career, if it’s not the best one. It means you will take different career tests that reveal your aptitudes, interests, personality and values. Interest inventories aim to discover occupations you are passionate about. Personality profiling reports show you how you behave in work. Aptitude surveys tell you how good you do specific tasks. Value assessments help determine your work values. Each of the assessment tools reports how you react to work situations. It also offers a list of recommended careers, including reasons why they are great for you. If you take the career tests you’ll gain two benefits. First, you can check whether you’re following the right career path. Second, if the career test results strongly direct you to another path then you’ll know your options. Take second career tests and select the best career. Do a thorough self assessment and set career goals. Search a perfect career with part-time jobs, freelance projects and volunteering. Learn job hunting skills starting from resume writing to interviewing. Find the right job training and career education. Be aware of other critical elements of career transitions. Want to start right away? 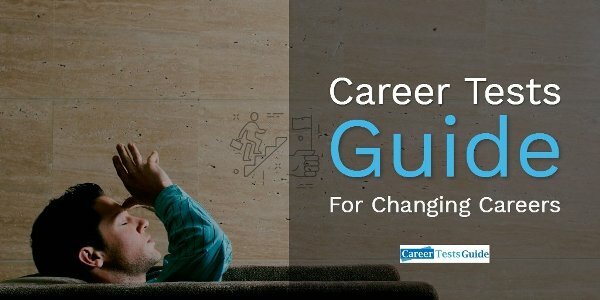 Follow these career change steps and the process will be less stressful and enjoyable for you. This site grew from my own experience in taking career path tests. I used the reports to collect key findings and began my midlife career change journey. I really, really wanted to change career and ended up taking 3 tests. Interestingly, the results directed me to 3 possible careers: interior designer, entrepreneur and technical writer. And I decided to go with an entrepreneur career. I had to start at a much lower-income than my last salary. Giving up some luxuries, hobbies and other lifestyles are just one of the consequences. Until today, I believe not many people can afford to make those sacrifices when they have a family to take care of. There were many more struggles down the road, but now I enjoy the fruits of my labor. That is my short story (the longer story is here). I hope you also take your second career tests and get a perfect career. And if you want to get motivated in searching a new career and getting one, make sure to get email updates using the form you can find below.